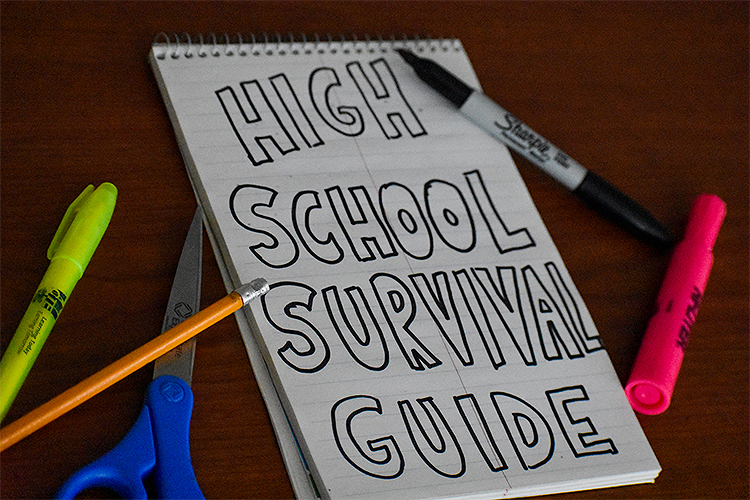 A step-by-step guide on how to survive high school, from a girl who’s already survived it. Entering high school is often a very frightening thing to do; high school comes with a new sense a freedom, but many consequences can accompany that freedom. It takes up four years of your life, which is not that many in the grand scheme of things, but assuming you graduate at 17 or 18 years old, that is roughly a quarter of your entire life. While high school can sometimes be very typical, many cliches that are portrayed in the movies are just simply over-exaggerations and all around untrue. During your high school career you will face many obstacles that are thrown at you, some that you may not know how to handle, but that is why I am writing this. Here are a few tips on how to survive the most exciting part of your life thus far. As a freshman, the last thing you probably want to do is stick out, and walking on the wrong side of the hallway is one huge way to do it. It disrupts the “flow of traffic” during passing periods and overall just angers everyone trying to get to class efficiently. For more detailed information on hallway etiquette, see this article. While you should have fun in high school, it is high school. It may not seem important during your freshman year, but your grades matter from the day you step foot into high school until the day you graduate. High school is a stepping stone to your future, and a very important one at that. Work hard in all of your classes and don’t throw away a successful future because you decided to have a little too much fun in school. 3. …But don’t forget to still have fun and get involved. High school is not all work and no play, rather it is a healthy mixture of both. No one is ever “too cool” to get involved and have fun in high school, and the fun won’t last forever. Dress up for spirit weeks and go to pep rallies – those are things that you probably won’t see outside of high school, and they truly are a lot of fun, as are sports games and dances. 4. High school is not a hierarchy. While people do find their way into certain groups, it is not a matter of popularity, but just who you choose to befriend. High school fortunately is not anything like it is in Mean Girls (but unfortunately not anything like it is in High School Musical). High school is where you find yourself, and if you find that you’re into musical theatre rather than football, no one is going to judge you for that. 5. Build relationships with teachers. Having strong relationships with teachers is so important for so many reasons. Gaining trust from your teachers is important when you are struggling with homework or projects, and especially important when it comes time to apply to college. Teacher recommendations are required for virtually every college application and having a strong relationship with a teacher will mean receiving a more personal letter of recommendation. 6. Don’t compare yourself to other people. Everyone is different and comparing your grades to another person won’t help you at all. High school is preparing you for your future and there is no use in worrying about someone else’s grade in comparison to yours. Know your potential, trust your own capabilities, and worry only about your own successes. 7. Any chance you have to get college credit, take it. College is expensive. If there is any opportunity to get college credit, whether that be AP classes, concurrent enrollment courses, or taking classes at a local university, take it. It could save you and your parents thousands of dollars in the long run. 8. The people you walk in with are not the people you will walk out with. Every freshman hears this and dismisses it immediately. “My best friend and I won’t stop being friends, that’s impossible.” Turns out it is incredibly possible. As much as we hate to admit it, high school is riddled with drama, and chances are that you will not be friends with the same people your senior year versus your freshman year. And sometimes it’s not even drama that divides people; everyone discovers new interests, and someone you were friends with during 8th grade may turn out to be a completely different person in 12th grade. It can be upsetting, but it’s also an opportunity to meet new and wonderful people. Extracurricular activities are fun, and they look really good on college applications. Participating in these activities is an easy way to make new friends that have the same interests as you; it’s a win-win-win. The resources that your high school provides you with are there for your benefit. Whether it be speaking with a school psychologist or getting help in a college readiness center, these resources truly are helpful in getting through the toughest times of high school. High school is a monumental time in everyone’s lives; it is the time where you truly begin to forge a path towards your future. Though it is incredibly important to focus and work hard throughout those four years, it is also crucial to find a balance between school and a personal life. Whether that personal life may involve time spent volunteering, playing club sports, meeting new friends, or joining the school musical, it is all important in determining who you are and what your future will be like. While these ten tips are very important to consider when you enter high school, the most essential tip in surviving high school is this: do not fear change. You will find yourself to be a completely different person by the time you reach your senior year, and that is okay. As your high school career unfolds, it is important to not shy away from change as it is the changes that you face that will shape who you become. Embrace what is to come throughout your time at high school, have fun and study hard, and don’t forget to stay true to yourself. In following these steps, you will surely have a high school experience that is completely worthwhile.